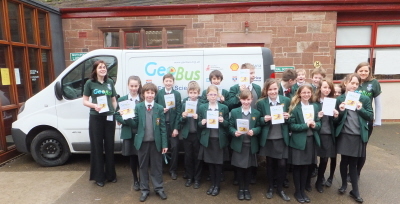 GeoBus made a hop, skip and a jump across the border to visit Abbey Gate College for a full day of Geology workshops. The Magic of Minerals, Monitoring Volcanoes and Geological Time to name a few! Here’s their take on the day with some fantastic photos to boot!